FORT WORTH, Texas – At a grocery store in Fort Worth, shoppers walk the aisles with coupons in their hands and off-brand products in their carts. A still-recovering economy has many looking to save a few dollars on their food bill, a job that is expected to become more difficult before year's end. The lingering and pervasive drought that's taking its toll on farmers and ranchers across America's heartland now is expected to soon impact families across the country in the form of higher prices at the market. How much higher is a tough question. While the USDA predicts a 3 to 5 percent increase on everything from cereal to steak, some economists believe price hikes will come closer to 10 percent. One study suggests a family of four will spend $600 more in 2013 to buy the same products they purchased last year. "I'll be more careful about how much I buy so there's no waste and be careful what I buy," one woman told me as she was choosing oranges in the produce section. The pictures of wilted crops and hungry cattle – so prevalent this summer – tell us beef and corn will affected. But experts say even items like chips and peanut butter will be more expensive at this time next year. So the ripple effect will mean price hikes down every aisle – on products like cereal and chips. "I will try to find the best price because we don't have a lot of extra money to spend on groceries," said one woman visiting from Ohio and shopping with her daughter. The biggest hikes are expected to be on some of the staples – dairy, eggs, poultry, pork and beef. However, beef prices may actually ease a bit in the short term, as ranchers who can't afford to feed their cattle are selling them off early – so there's a healthy supply hitting the market now. But next year at this time, there will likely be shortages. So things like hamburger meat, sometimes considered a budget-friendly meal, may soon be priced more like steak. North Carolina, the second largest poultry producer in the nation, is facing big challenges as the price of grain rises. NBC's Anne Thompson reports. Talking to shoppers in this Texas market, they're aware of what's coming and resigned to it. "Food is not a discretionary item," one man said as he put a carton of eggs in his basket. "You've got to eat." 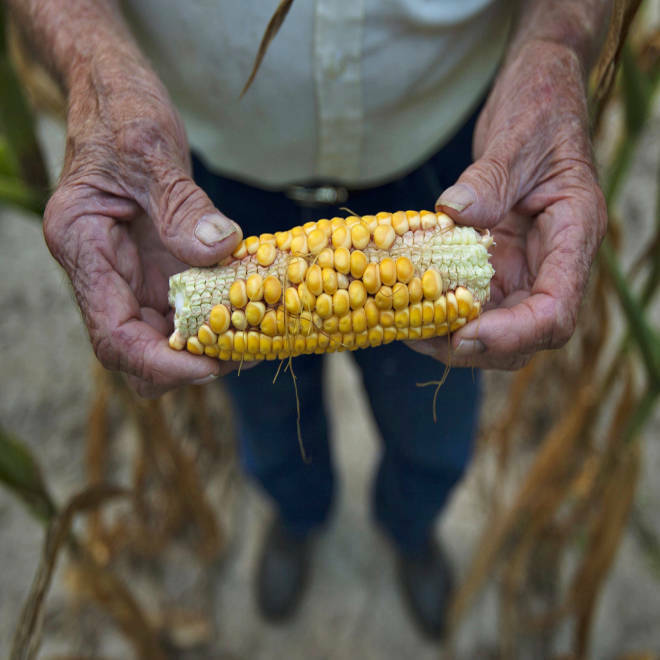 From farmers’ pastures to our own kitchen tables, the drought of 2012 will exact a high toll.